Breastfeeding on demand means initiating breastfeeding whenever your baby gives hunger cues. An even easier way to think about this is to initiate breastfeeding whenever you can and often and allowing your baby to breastfeed for as long as they want. There is no need to watch the clock or breastfeed on any kind of schedule. Simply breastfeed as often as you can, whenever your baby asks for it and for as long as your baby wants. This is the best way to establish milk supply and the best way to make sure your baby is getting plenty of milk. You might be told to breastfeed every 2 hours or something like that, but there is no need to do thus and this could actually lead to milk supply issues. 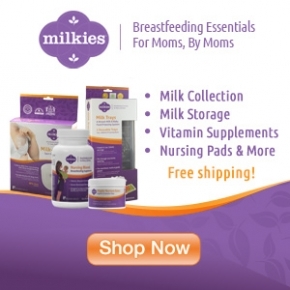 Simply breastfeed on demand.